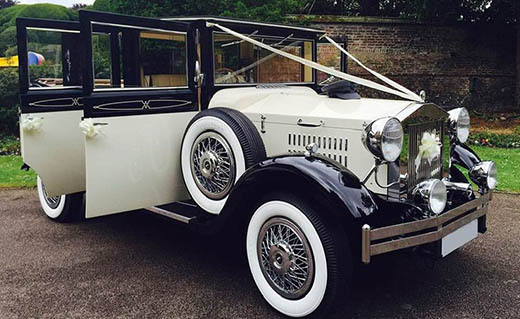 Wedding Car Hire Nottingham The Perfect Car For Your Special Day! 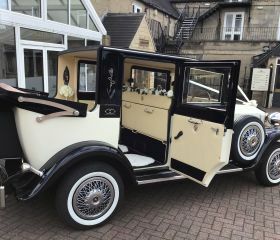 Looking for wedding car hire companies in Nottinghamshire? 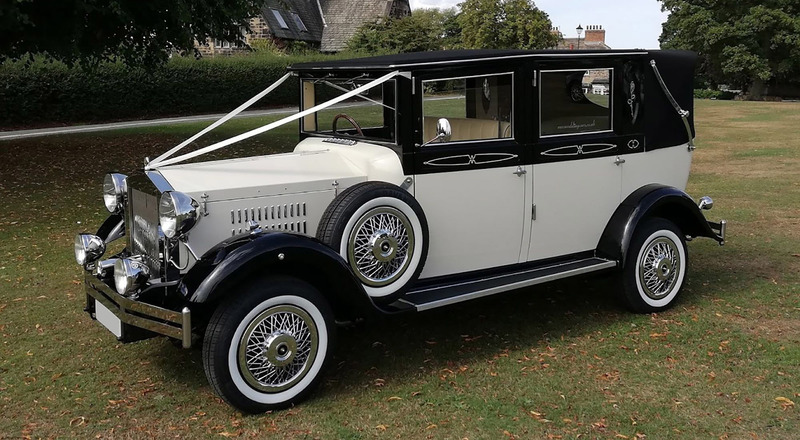 At Beauvale Wedding Cars, we provide a number of stunning Viscount Landaulette wedding cars for hire in Nottinghamshire, Derbyshire, Leicestershire, Staffordshire and the rest of the East Midlands. 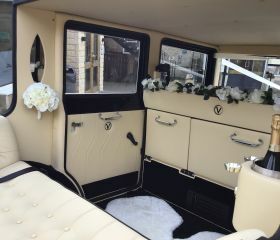 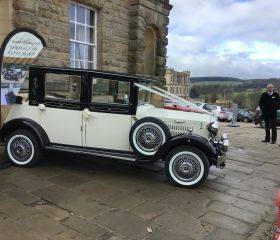 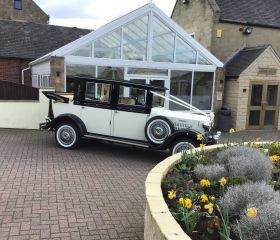 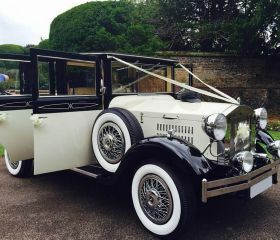 Perfect for weddings and civil partnerships, these vintage-styled cars offer the very best in luxury and style. 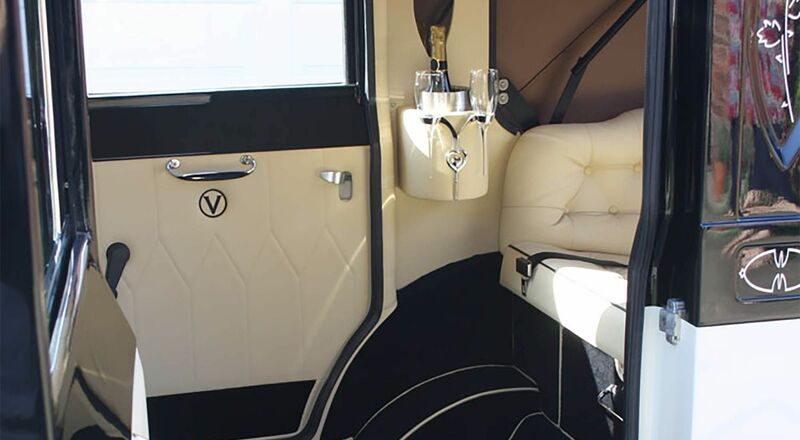 These brand-new vehicles combine spaciousness, comfort and reliability with timeless elegance to make your day that extra bit special! 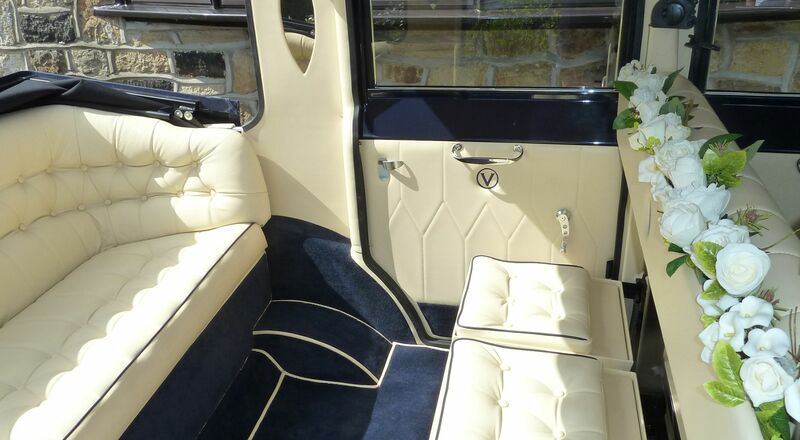 Each of the Viscount Landaulettes can accommodate up to 7 passengers. 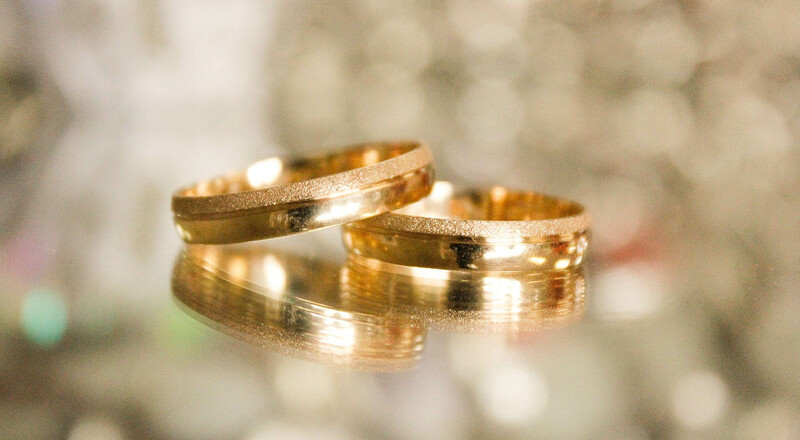 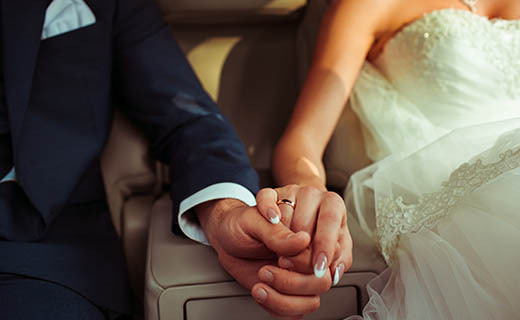 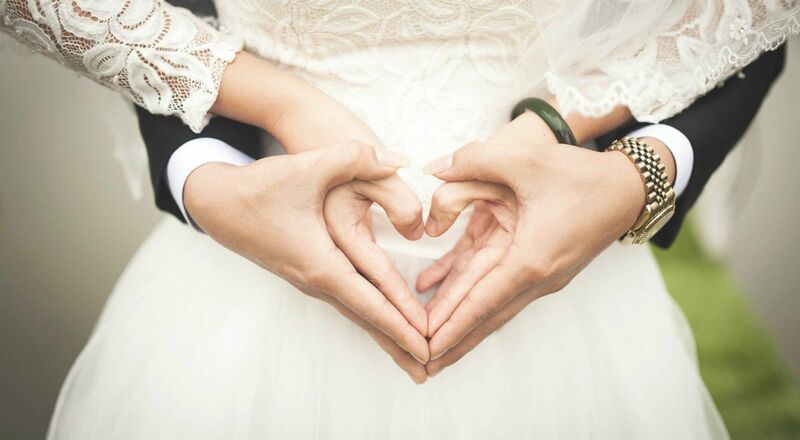 As a family run business, we pride ourselves on the service we provide, enthusiastic about every couple we meet and providing the perfect wedding car(s) for their big day! 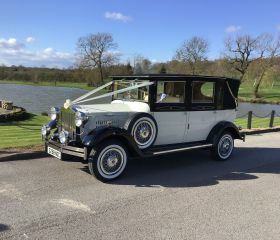 All of our wedding cars are kept in immaculate condition and maintained to the highest standards. 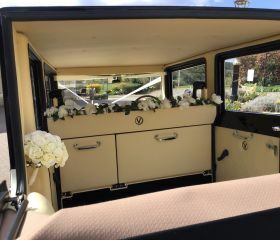 Our wedding cars can be decorated with your choice of floral trimmings, bows and ribbons to complement the theme of your ceremony and to add your own personality. 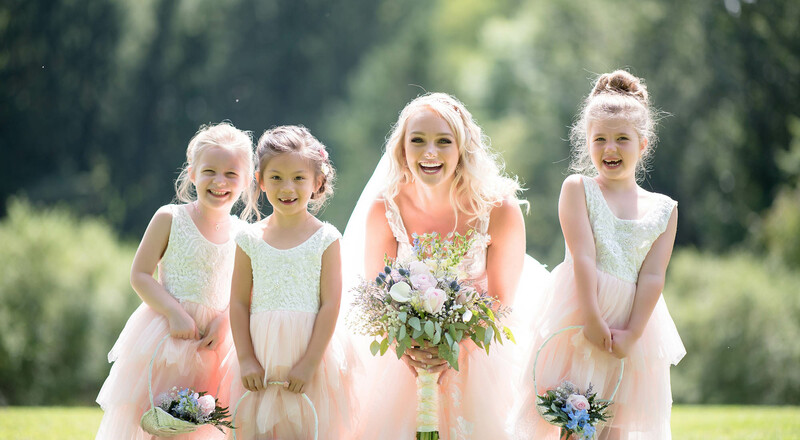 Special bows and ribbons can be made (such as Flower Bows, Dior Bows or even Dicky Bows) to add that perfect finishing touch. 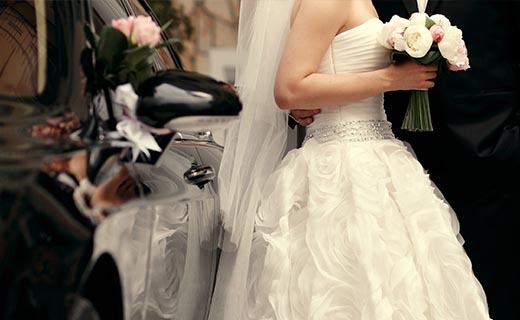 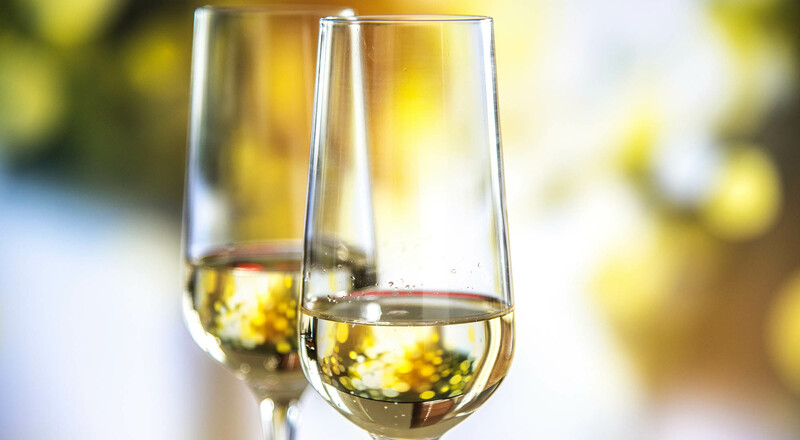 At Beauvale Wedding Cars, we aim to provide a first-class service to all customers. 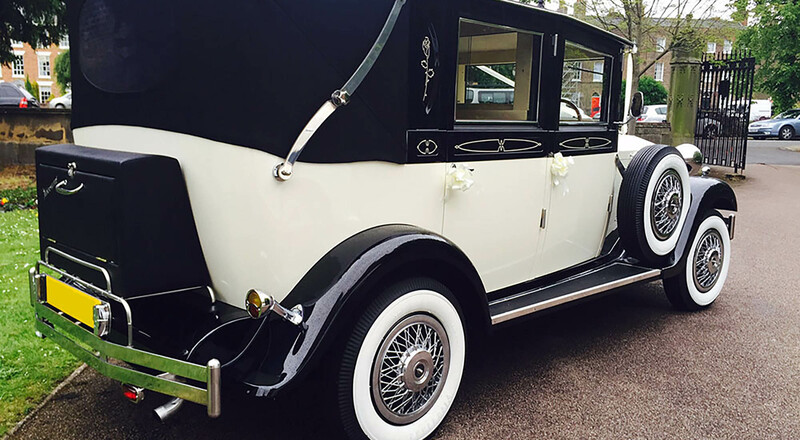 Our impeccable Chauffeurs are uniformed, courteous and are always polite. 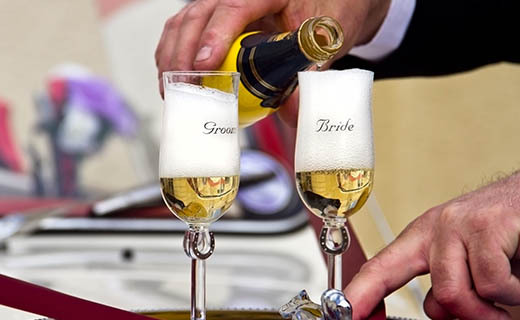 We only undertake one booking per-day and always plan the proposed routes to ensure each journey remains smooth and enjoyable at all times. 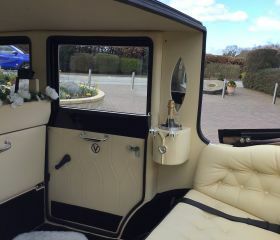 For added peace of mind, all vehicles are comprehensively insured and our company holds Full Public Liability insurance.